Please do participate in my short survey if you haven't already done so. Indeed, if you haven't taken the brief amount of time it takes to answer this simple survey, please do so before reading on in this article (it'll lower the chance of what I write biasing what you answer). Also, my article on what constitutes value is what triggered the survey, so you might want to read that first. Yeah, almost no one thought sharing was very important (94.3% ranked it last). And yes, size and weight was at the top of a majority of rankings (60.7% ranked it first, while image quality was second with 20.3% ranking it first). You're probably wondering what that base of mirrorless camera users looks like: a whopping 31.7% of them had Olympus OM-D E-M5 cameras. The majority were m4/3 owners, with Nikon 1 owners being a distant second and Sony NEX owners a close third. I've become a fan of SurveyMonkey's "text analysis" in the open ended responses, as it often creates a tag haiku that pretty much sums things up. Three such phrases popped up to make a nice quasi-haiku: "Image Quality Kit, Pictures Portability Price, Smaller Package." But in analyzing the open responses more, two things kept coming up over and over again: lenses and viewfinders. Many of you were attracted by the lenses, many of you require an EVF. To a large degree, this survey's results support the "smaller DSLR" theory of mirrorless as opposed to the "better compact" notion that many of the camera makers keep touting. To be sure, the folk that visit my Web sites tend to be more sophisticated photographers who already own DSLRs, so that would be an expected bias, but it's an overwhelming bias in the results. It's a little bit of a stretch, but notice how Size/Weight, Image Quality, and Focus Performance are tightly grouped. I would hazard a guess that some of these folk gave up on the mirrorless camera because they were disappointed with Image Quality or Focus Performance. Let's go to the open answer and see what we find: "Focus Image Quality Performance Wanted" is our text analysis Haiku. Indeed, a lot of the responses to "What was the primary reason you sold your mirrorless camera?" were centered around disappointment in image quality and/or focus. But I was surprised at how many of these responses also mentioned something about menus, ergonomics, or UI. Indeed, in reading the open-ended responses I got the impression that it really only took one out of three negatives (in image quality, focus, or ergonomics) for these people to abandon the camera, and two out of three negatives often resulted in very strong language in their response (appalling, abysmal, sucked). I asked everyone "What would you say is the biggest value a mirrorless camera offers users?" Yes, it's haiku-time again. We got some similar tag groupings to the first set, but (with a bit of editing) my favorite is "Ability balance compact compromise DSLR." Curious, I decided to crosstab the results against a few camera models. Sure enough, you can see some interesting things there. For example, 37.5% of Nikon V2 owners ranked focus performance #1, while the OM-D E-M5, GH2, and NEX-7 owners all ranked focus third or fourth (about 60% of them in each case). V1 owners ranked focus second for some reason. The V2 focus ranking average was 2.25 (1 being everyone ranks it first), the V1 ranking was 3.19, while the other three cameras were 4.09, 4.27, and 4.38 respectively, or below the expected average ranking. As you might guess, price was a low ranking for all those cameras: 5.96, well below the average ranking for all cameras. Size/weight was the thing that was ranked number one for all five cameras, hitting a 1.5 ranking for the OM-D E-M5 users. In ranking statistics, that's a very high value and certainly significant. 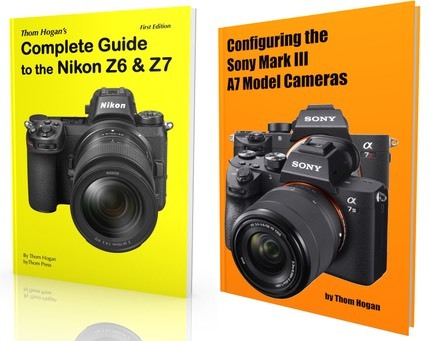 Sony NEX-7 users ranked features higher than the m4/3 high-end (E-M5 and GH2), who in turn ranked them higher than the Nikon V1/V2 users. The text analysis for the OM-D EM-5 started right out with the perfect summary: "Balance Body and Lenses."